Where Does Elementary Fit In? 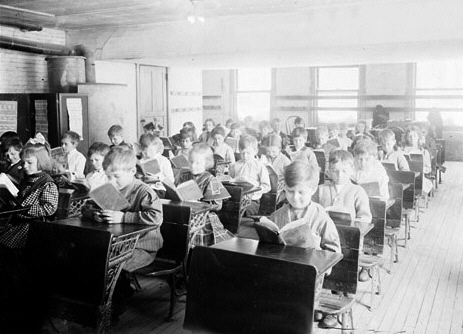 Imagine a traditional classroom where students are sitting in rows. Did you imagine something like this? This is the first image hit for searching “rows of students” on Google. 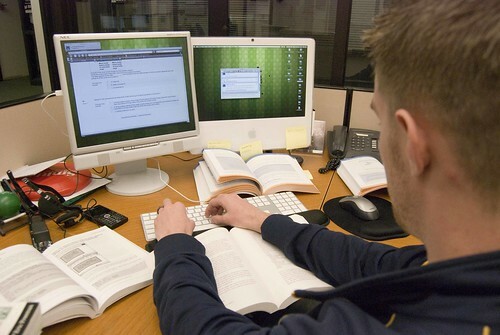 Now, looking ahead to where education is heading, imagine MOOCs (Massive Open Online Courses). The first image with a person in it is this. Resources – You need access to the internet, additional materials, etc. This made me think about how MOOCs are developmentally inappropriate for elementary students… At least the way they are designed now. So I got to thinking about what can I do as an elementary classroom teacher so that they can possess these attributes to be successful in a MOOC (No, bigger than that because these are necessary skills in life) anywhere? No, this isn’t the goal. I came to realize that much of what I do now will hopefully lead them to developing these attributes. Encouraging group work, allowing students to pursue topics and ideas of interest, giving the students the freedom to explore and use technologies, building a positive digital footprint, connecting them to others through the use of various technological tools. All these elements should lead the students to be successful anywhere as they internalize how and why we do all this in school. I also think about how schools designed like the one Prakash Nair describes in “The Classroom is Obsolete: It’s Time for Something New” would be an amazing direction to go. So, at the moment, it doesn’t feel like Elementary Schools will fit into learning through MOOCs. But, perhaps with the use of new technologies like the Oculus Rift where students can have a whole different way to experience courses, things would be different. That would be quite interesting to think about too. A virtual classroom where you can almost be there. I agree that most Moocs aren’t designed with an elementary student in mind. I don’t think Moocs for elementary students are so far in the future though, especially for upper elementary students. When I think about how self-guided their learning is in Minecraft, I think that there must be some kids out there ready to “geek out” and learn from an expert that is willing to create appropriate, fun learning materials for them to use. Thanks for a interesting post! Great points! I love the idea that we can build the skills necessary for success in MOOCs (as in life) in a developmentally appropriate way while we wait until the technology is just right for the age group.